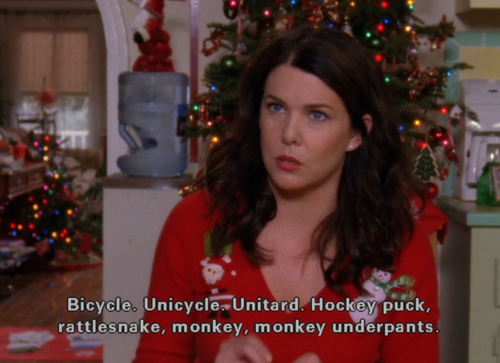 Because Gilmore Girls is finally coming to Netflix this month, here's a comprehensive list of traits and qualities explaining why I aspire to be Lorelai Gilmore. She is a phenomenal mother. 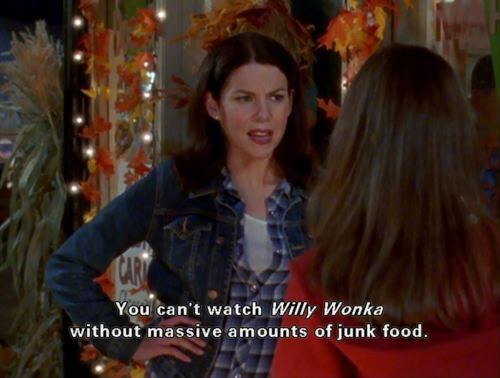 She gave Rory her ability to speak at inhuman speeds and the ability to process obscene amounts of junk food. She's always supportive and there to share her wisdom. She's the best friend you could ask for. Whether you need someone to tell it to you straight, or someone to help you get the kid they were babysitting un-stuck from under the bed, she's got your back. Her train of thought is fascinating. Don't bother trying to connect the dots when she speaks. Just try your best to follow along or you might miss a gem like this. She will never cease to make you laugh. She has a wide variety of faces to pull, comebacks and jokes to tell, and can hold her own with slapstick physical humor too. She really thinks about the important things. She's always up on all the hot-button topics, and isn't afraid to have a deep, meaningful conversation with you. She makes a caffeine addiction look cool. 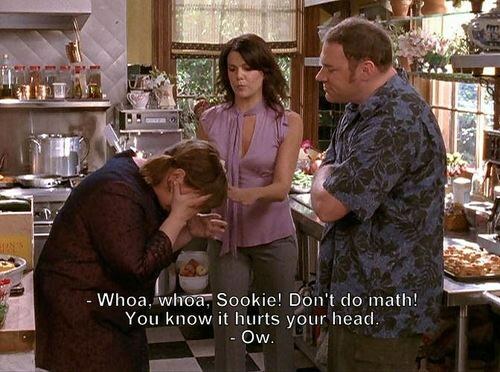 Lorelai is accepting of the fact that without her daily vat of coffee she would not be a functioning part of society. She knows what she wants in life. And she's not afraid to go after it. She can usually find something to relate to, and if not, she's good at pretending. She's a fabulous entrepreneur/business woman. After raising Rory, taking business classes, and getting the applicable experience, she and her best friend successfully started their own Inn. Her taste in film and television is on point. This is a woman with all of Cop Rock on tape, and has seen the Sophia Dying Scene in The Godfather Part 3 more times than any other human being, ever, except maybe Rory. Her music tastes are incredible as well. She's always ready to drop her favorite lyrics, or pick up and go see The Bangles in New York. She always has the best advice. Be it on matters of the heart or whether or not you should eat Poptarts for dinner, her advice is always solid. She knows how to handle anything life throws at her. Being a Gilmore has prepared Lorelai for just about any curve ball life could throw her. Her pop culture references are always perfect. Pop culture references are one of Lorelei's specialties, so don't be embarrassed if you can't catch every single one of them. She always has the perfect comeback. 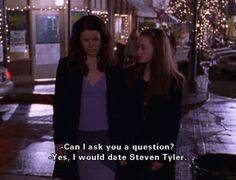 When it comes to comebacks, Lorelai has the timing down perfectly, and always gets the last word. Her ability to spit out comebacks exceeds the hopes of anyone who has ever walked away and then realized the perfect thing to say. She is able to use her vocabulary to spice up her every day conversations. She gives the best compliments. If you're ever having a down day, don't doubt that Lorelai will cheer you up by giving you a well thought out, creative compliment. And she is not afraid to use them to her advantage. And she knows her faults. Though it may be difficult for her to admit from time to time, she is aware of her faults and tries her best to overcome them.